with beaucoup de bubbles and a better tasting champagne. quality sparkling wines have bubbles like strings of tiny beads that seem to never end). squeaky, clean and dry, with no soap film or streaks. Besides its elegance, the character of fine crystal adds a sparkle that enhances the natural sparkle of the wine. So when you raise your glass at midnight, ring in the New Year with style. Cheers! I've had my Ralph Lauren herringbone champagne flutes for years, they're great. But if I were in the market for new ones, I would have to go with the Victoria champagne flute by Juliska! AAaah so beautiful. You are right Sarah, nothing beats Champagne served on a crystal flute for celebrating. Happy New Year! I wish you joy, peace and happiness for 2008. You know how I feel FG and I'm so glad to see that a "Fashion Girl" concurs! Cheers! Thanks for stopping by. Lovely, I agree both glasses are nice. 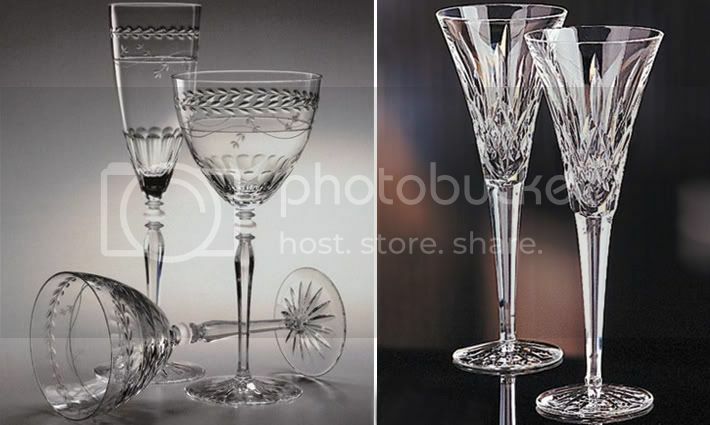 But when it comes to the "clink" - - - The crystal glasses resonate the 'clink' better! Oooh, the sound of crystal. 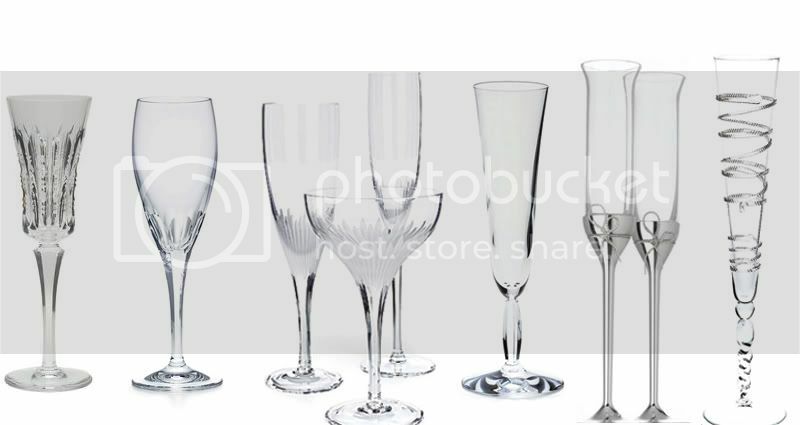 Hi Kim, - - - and if there's going to be toasting, go with slightly thicker, crystal champagne glasses, thin-fluted champagne glasses can break if toasting gets too festive. If you know what I mean! Happy New Years! C&B and Ralph get my vote! Happy New Year Sarah! Happy New Years Katie!! Here's to a healthy and prosperous new year. Wishing you and yours a prosperous 2008!!!! I love them all. I also love the sparkle in the first photo. Where did you find it? So stylish! Hope your holidays were sparkling as well! These wine glasses make me want to drink wine. 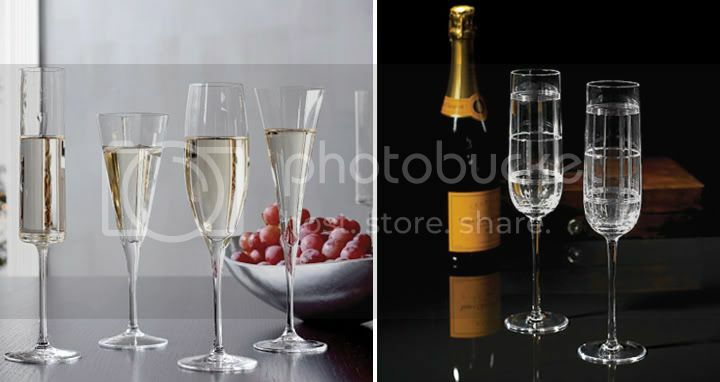 Serving champagne on regular glasses takes away some of the appeal of the experience of drinking champagne. 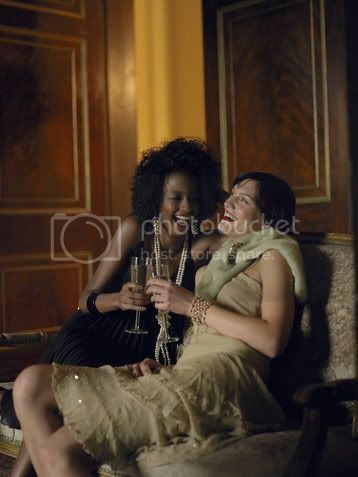 After all, is a classy drink and it does not look good at all if you serve champagne on drinking glasses.